Enjoy the summery scenes on fan paintings from the Chinese and Japanese reserve collection. Hand-held fans have long been used to keep people cool in Asia. Rigid fans were used in China from the 2nd century BC, but folding fans made of folded paper braced by thin bamboo sticks are thought to have been developed in Japan and Korea around the eighth century. Fans were carried by men as well as women, and were used to represent status and social identity. Different types of fans were made for different purposes, whether for court use, for dancing, or for the tea ceremony. With so much significance attached to the fan in Asia, great attention was paid to its decoration. 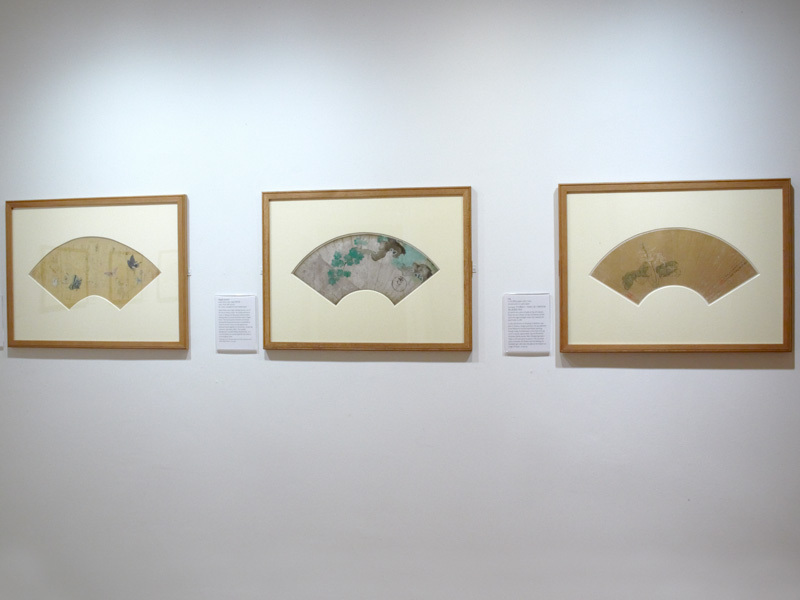 The surfaces of folding fans were often decorated with small-scale paintings or calligraphic inscriptions. In order to preserve the work of art, fans are often removed from their bamboo frames and mounted onto album leaves. 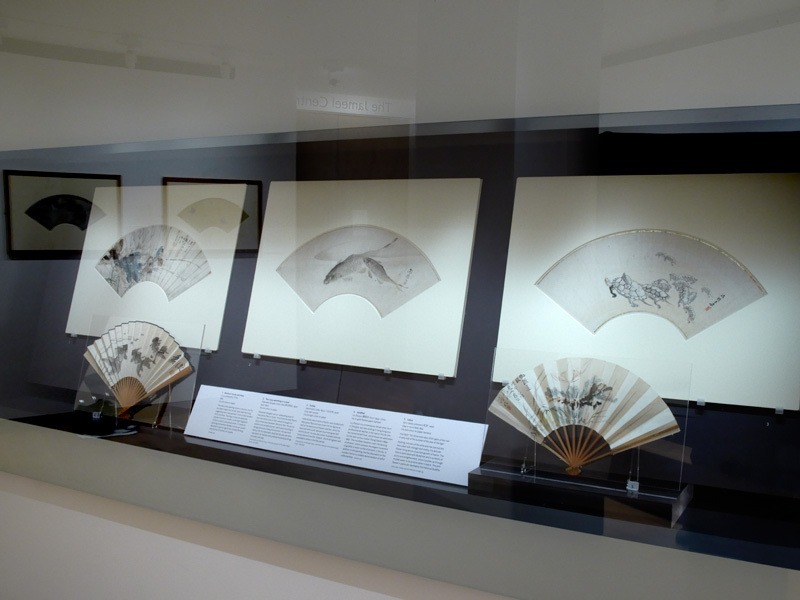 This exhibition includes a selection of fans designed for use in the hot summer months. 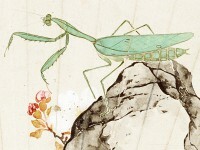 The paintings on them depict summery scenes: plants, insects and water creatures. Eastern Art Online presents an online version of the Unfolding Nature exhibition on display at the Ashmolean Museum's Eastern Art Paintings gallery, to enable visitors to browse and search all exhibition objects and their high-quality zoomable images. Eastern Art Paintings Gallery - Unfolding nature exhibition east wall. 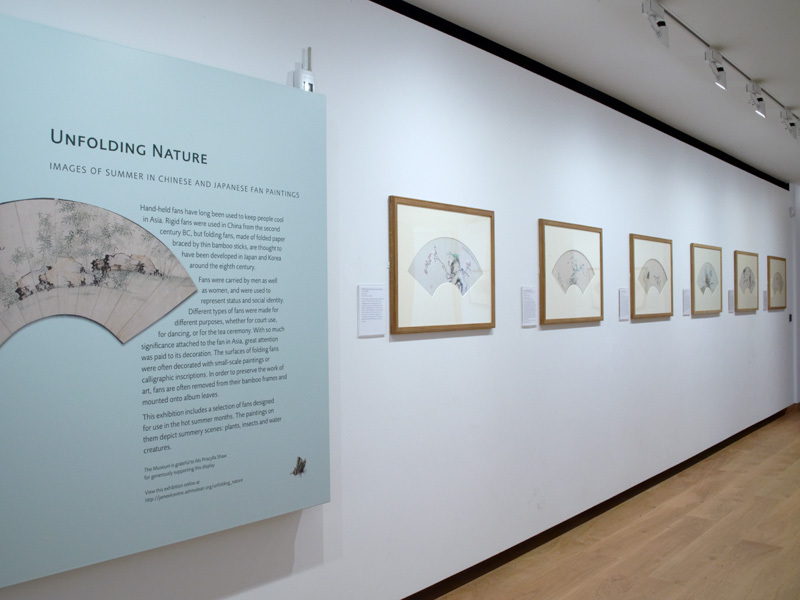 Eastern Art Paintings Gallery - Unfolding nature exhibition north wall. Eastern Art Paintings Gallery - Unfolding nature exhibition case.